The visual environment will set the mood for every event. It can make your company’s brand unforgettable, dazzle your audience, and help your onstage performers become superstars! 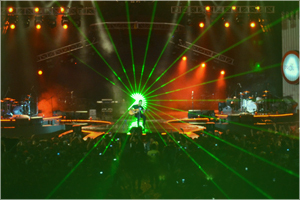 Using state-of-the-art production technology, FOCUS specializes in lighting for every event, whether big or small, extravagant or subtle, and fireworks are an explosive addition FOCUS can offer too. 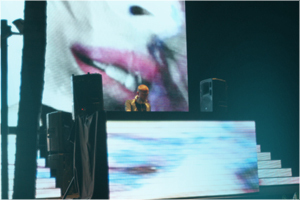 FOCUS are experts in projecting and balancing the perfect sound system for your event, to make your stadium sized concert crystal clear, or for your business conference to be pitch perfect. Every piece of equipment we supply has been carefully selected from only the best names in the field of audio technology. 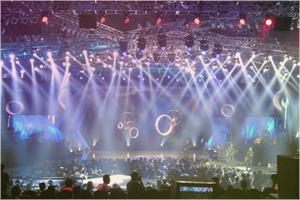 To complement our outstanding lighting abilities, our set design is consistently creative and visually striking. Coordination with our clients’ existing branding is essential to any memorable stage location, and we are very experienced in the careful management of props, rigging, electrical power generators, cables, and tentage.